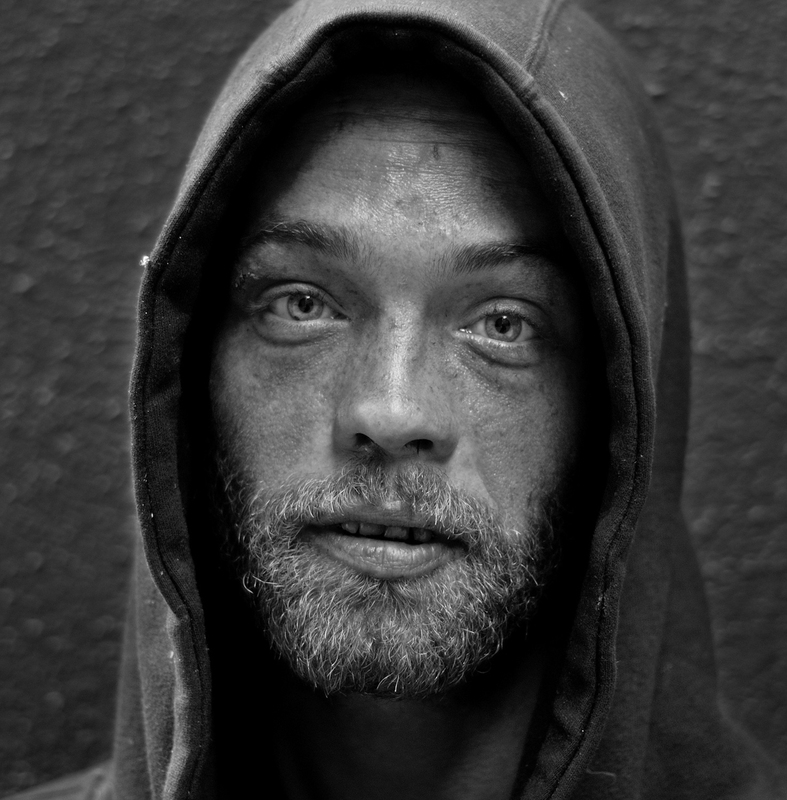 homeless brian from atlanta; people call him "freelove." brian has been on the street since '98. as a child he lived mostly with his mother; and moved from state to state quite frequently. brian believes that the soul is not part of the body; rather that the body is part of the soul. he believes that his larger soul is extremely fragmented and possesses many incarnations; some simultaneous. he has memories from his other souls and his other bodies. he sometimes refers to them as ghosts; sometimes as dreams. he describes memories as a child of how his ghosts were used for physical acts by various family members and how his soul was sold to strangers. he describes how at 16 he was being used by a woman he didn't know. or it was a dream. or it was his ghost. but then he knew her and it was his mother. and she told him he was committing a sin and how could he be so sinful. and she tried to "crush" him as she tried to make him repent his sin. he believes that people you know can be connected to your seven chakras and thus be a part of you. his "root" chakra is a chinese girl he knew in '95 named ann. he met her in sacramento when he was living with his mother. he thought she was a gift and he didn't know how he had gotten so lucky. ann was there visiting a friend or such. she worked in a dotcom in sunnyvale. some time later, he went after her to sunnyvale to try and find her. he found her, but she would only see him in secret once a week and would make him call her daily in case she wanted to see him the following day. he was confused by her behavior and missed a day. he never saw her again. he felt her loss like a blow to the "solar plexus" and thus associates her with his "root" chakra. she is the love of his life. he says people are bad to him and people use him. he says, about 2 years back, his mother surgically removed his heart and sold it; and had him committed to a mental institution. he says his heart was his hero and he can no longer be a hero without that heart. but he says he had a spare "less modern" heart as a backup. he says things keep getting worse for him. he says he sold his soul to the devil so as to stop his slide. he says he's given himself to evil so that when others do evil to him, it can be no worse. he doesn't believe in actually doing evil to others, however. he says he visits hell frequently. he says that satan is his mistress; but that he's trying to reform "her" so that there will be no more evil in the world. but he's not sure he can. and he feels he's gone too far. he says he needs help soon. he hopes that someone will give him a way out. but he doesn't believe there's much time. he says soon he won't be able to turn back. but for now, there's still time.